Includes Wind Sail engraved with up to 36 characters of your thoughts, feelings, names, and dates. with Ash wood, 6 bronze anodized aluminum tubes. THIRTY SIX (36) CHARACTERS MAXIMUM, Including Spaces & Punctuation. 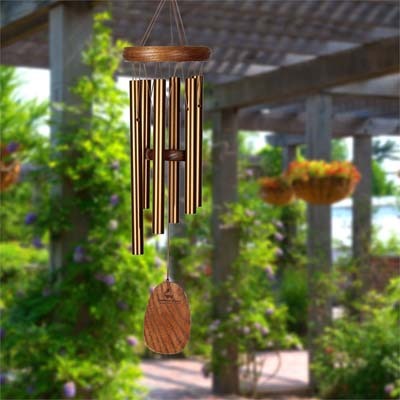 With its High-range tuning, this chime plays the inspiring tones heard in the opening measures of Amazing Grace, one of America's best loved and most widely known hymns. Made of: Cherry finish ash wood, 6 Bronze anodized aluminum tubes.